The music of the late Rich Mullins is filling my kitchen. Rich will rule our soundwaves today. Friends are coming over. I am making a wicked roast port. The sun is shining. Its a good Sunday. And Rich Mullins is playing. Rich Mullins, in my opinion, was the Keith Green of the early 90’s. He had a strong stance against materialism – lived on a Native American reservation, and limited his income to a small salary, so that he could help the poor. His music is powerful, but not superb. I never liked how the mainstream Christian publishing machine cleaned him up for a suburban audience. But once you get passed his mainstream hits (that i never really warmed to) and get into his many albums, you will find some fantastic prophetic music with Native American instruments and celtic vibes and Appalachian spirituality. I never met Rich, although i did meet his brother David a few times. Doug Pagitt met him – Rich was having a quick smoke before he went onstage to play at a large church. Rich Mullins was truly a man ahead of his time! The world lost and heaven gained something wonderful when Rich died. Rich, The Pope, Johnny Cochran & Terry Schiavo dancing together in heaven! Now there is a picture beyond description that makes me smile. 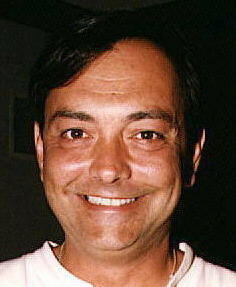 I was browsing through the various blogs I read and happened up a post about Rich Mullins by Tall Skini Kiwi. He had a couple of links that I followed and found a few quotes from Rich. I thought they were worth sharing. Rich was amazing. I especially like the ‘Jesus Demos’. They’re so raw and emotional. Rich Mullins holds a special place in my heart. Although I had heard his songs many times, I had never seen a photograph of him. When I did, I was totally “blown away”…his face was so familiar. In doing some research, I discovered that, as children, we had, for one year, attended the same elementary school…that is where I remembered his face from…a little boy I had seen on the playground at school. I am glad I will see him again…I will enjoy our conversation. That one no doubt played to ah, mixed reviews. What I appreciated early on in my discipleship was his complete disregard for and impatience with the emerging culture wars.
. . . yes, he was a great guy, living not for himself. I love his very moving song “Halleluja”. It just gets you up and dancing, halleluja . . .